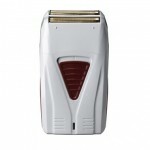 This shaver is designed to provide a close shave for fade finishing and removing stubble. 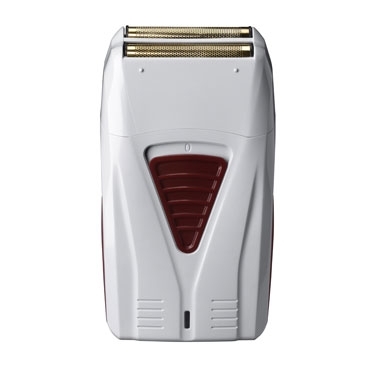 Compact and weighing less than 5 ounces, the cordless shaver is powered with a lithium-ion battery for up to 80 minutes, and packs an optional cord. The ProFoil is driven by a robust, but quiet rotary motor turning at 9,400 RPM. Its tiered head design features two rows of cutting blades housed under individual gold titanium hypoallergenic foils that are engineered to maintain their shape better and last longer.